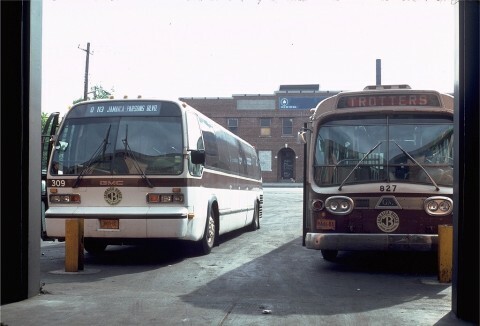 Jamaica Buses #309 & 827 at the garage on May 24, 1981. Photograph taken by Doug Grotjahn; collection of Joe Testagrose. Album name: ripta42 / Jamaica Buses, Inc.